A government and aboriginal review board has approved the Gahcho Kue proposed diamond mine in the Northwest Territories, De Beers Canada and Mountain Province Diamonds (NYSE-AMEX: MDM) announced on Monday. The Mackenzie Valley Environmental Impact Review Board (MVEIRB) concluded that the "project is likely to cause significant adverse environmental impacts" but has recommended government approval of the plans, subject to measures and follow-up programs. 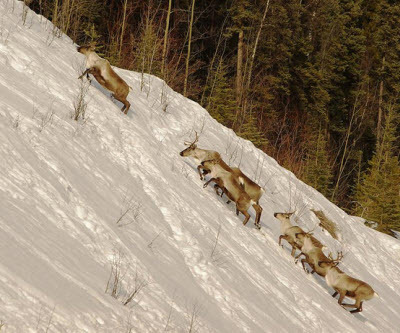 Conditions include changes to the project's impact on caribou habitat and the addition of follow-up programs to "address impacts to water, fish, caribou, other wildlife and species at risk," the panel stated in a news release. The proposed open-pit mine 300km north-east of Yellowknife would include three pits with a mine life of 11 years. Operations will require dewatering portions of Kennady Lake and backfilling pits with waste rock and processed waste material from the mill, the release highlighted. The company has committed to "re-filling Kennady Lake at end of mine life and allowing fish to re-populate." Gahcho Kue is a joint venture between Mountain Province Diamonds and De Beers Canada, with the latter holding 51% interest. The 10,353-acre site is the world's largest and highest grade diamond development project with indicated resources of 33.8 million tons. MVEIRB has sent the report to Bernard Valcourt, minister of Aboriginal Affairs and Northern Development. Pending Valcourt's approval, the companies can apply for permits and licenses. Mountain Province Diamonds made slight gains on the New York exchange Monday morning, but lost 0.6% by day's end.